The old 62’ pony truss bridge was functionally obsolete and structurally deficient. The old road had a slight jog in it due to the meandering stream. There were many accidents on this road due to the jog. The project consisted of straightening the road and the stream channel as well as replacing the bridge. Rogers County and Guy Engineering worked closely with the Tulsa District U.S. Army Corps of Engineers to mitigate impacts on existing waterway. This work involved minimizing fill in the floodplain and planting of over 300 hardwood trees to replace the trees lost to construction. 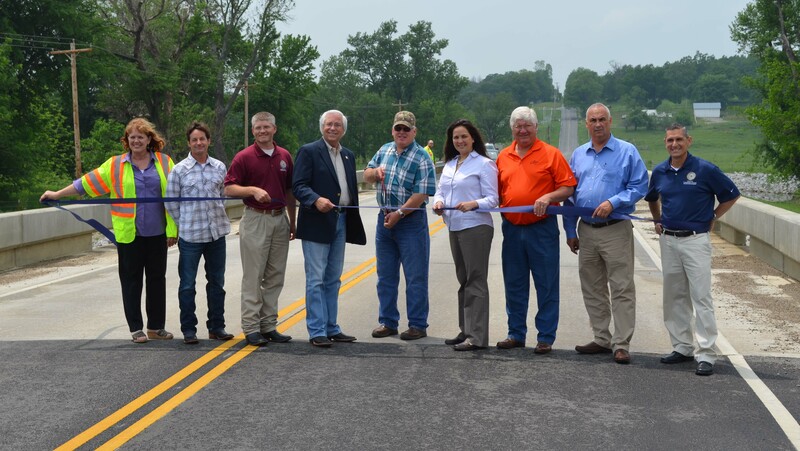 Construction of this bridge was funded by Federal Bridge Replacement funds ($1 million) available to Tribes and secured by the Cherokee Nation and County Improvement to Roads and Bridges ($300,000). 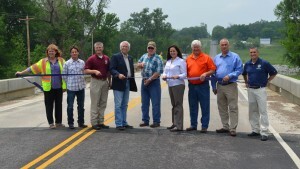 E450 Road is on the Cherokee Nation’s road inventory. Rogers County paid for engineering, right-of-way acquisition and utility relocation costs. The project was completed April 2013.